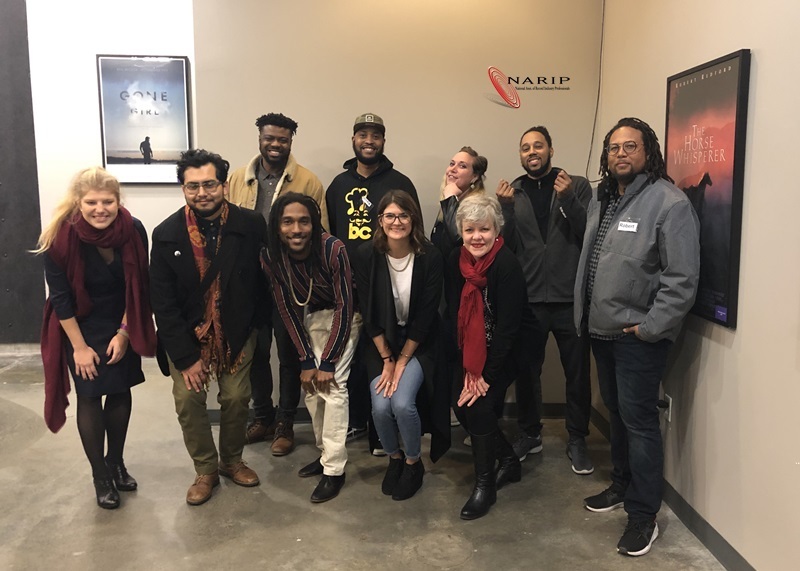 Viacom Media Network’s Sam Hayflich was our special guest at NARIP’s Film TV Music Supervisor Pitch Session this week where attendees presented music for several her current and upcoming slate of shows including The Hills, Black Ink Crew and others. Sam executes MTV soundtrack promotional content for MTV programming and supervises internal theme songs, pilots, promos and social/digital content for MTV, VH1, LOGO, BET, CMT, International, and digital content. She and her team work closely with composers, music libraries, independent music supervisors, labels, publishers and artists to integrate music into programming and promos across channels. She heard several songs she wants to use immediately, and she invited those present to keep her up to date on new releases. Thank you for making time for our session Sam! Photos by Maddie Mathews and Maja Slopiecka. Photo (L-R), top row: Justin Allen, Kevin Clements, Cassie Holt, Stephaun Pender, Robert E. Lee. Front row: Maja Slopiecka, Ian Vargas, Andre Jones, Sam Hayflich, Tess Taylor. Not pictured: Maddie Mathews, Meggie Pack, Tamara Bubble, David Chua, Jessica Holmick, Keath Lowry, Luke Robinson, Gail Vareilles.